I think, in order to get a little more going on here on the front page, I'm gonna scour the interwebs and try to find FF14 news to update here -- I know not everyone frequents reddit, or other sites... but I do! So, every so often, I'm gonna go through, grab things like Dev posts, news, and some other fun stuff to post here on the frontpage. Hope you guys enjoy. At the following time, in order to accompany patch 2.5, we will be performing maintenance on all Worlds. 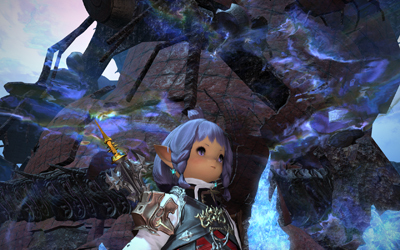 During this period, FINAL FANTASY XIV: A Realm Reborn will be unavailable. *The World Transfer Service will be suspended 15 minutes before maintenance begins, and will be unavailable until maintenance has ended. *Please be advised that you will be unable to make reservations for Ceremonies of Eternal Bonding from the time maintenance ends until Jan. 23, 2015 1:00 a.m. (PST) / 9:00 (GMT). * The completion time may be subject to change. Rare dye on cash shop for 2.5 please!?!? Grekumah - We?re looking into making the metallic gold, metallic silver, jet black and pure white dyes available through other means, but we don?t have any concrete details to share at this time. Bayohne posted a new devblog today, with some photos of the new Keeper of the Lake dungeon!